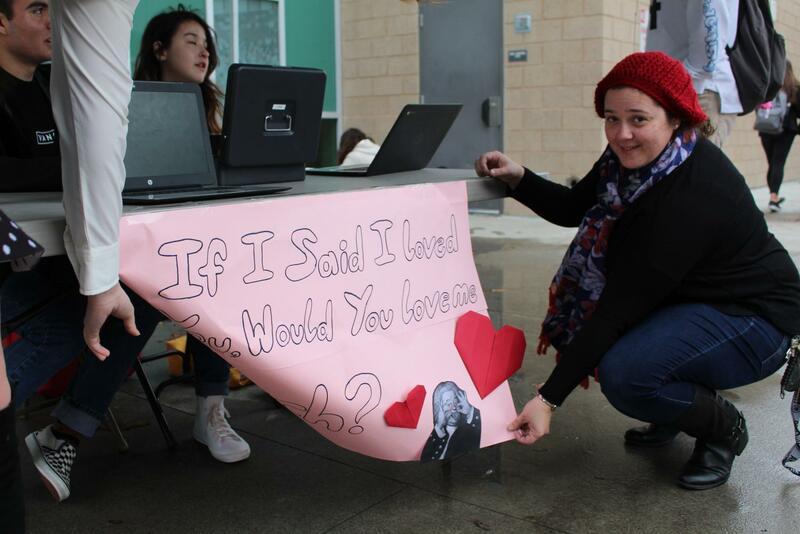 Ms. Quinones, the choir director, holds up the Valentines grams sign on a windy Monday morning. Choir is selling Valentines grams until Feb. 13 to raise money for the choir program and spread a little love around the campus. A group of choir students huddle in a circle with a guitar for Music Monday. 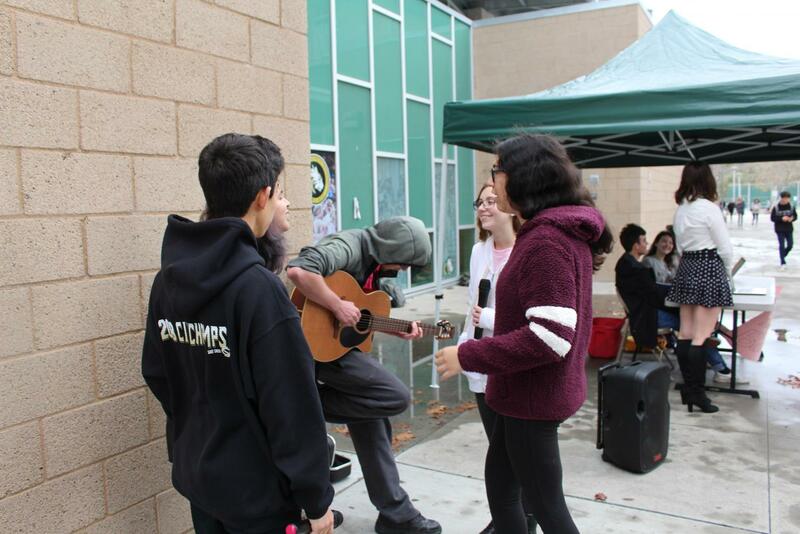 Music Mondays are a weekly tradition where students in the music program gather either in the grassy field or in the academic mall to promote the band, orchestra and choir programs. 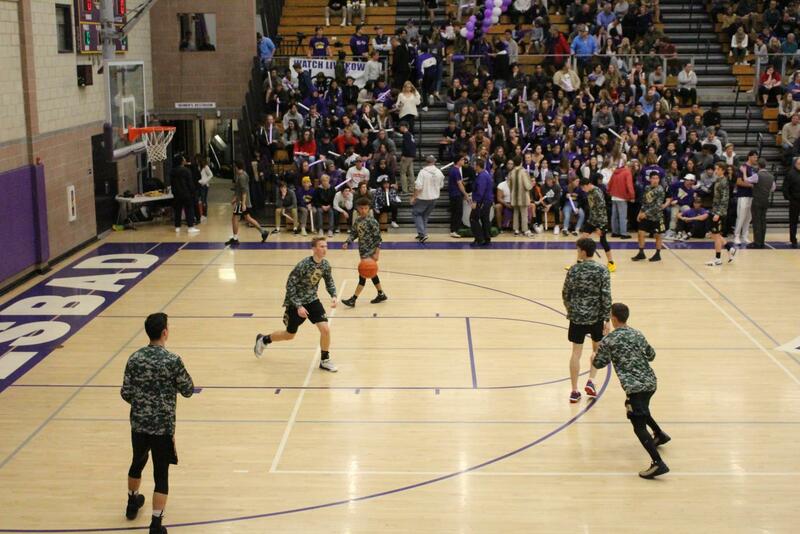 Boys varsity basketball players prepare for their game against Carlsbad High School. The Bobcats lost narrowly with a score of 60-51. Ryan Harazim, a Sage Creek student, poses before the rivalry game begins. 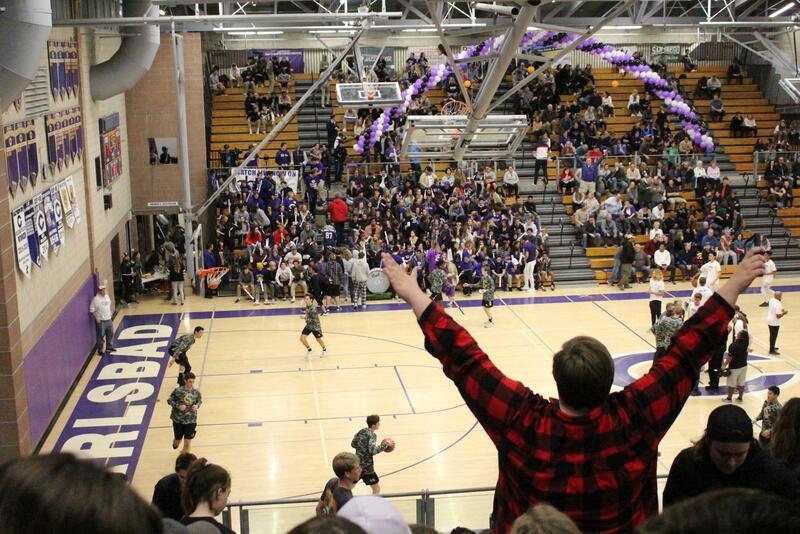 Sage Creek students formed their own blackout student section across from Carlsbad High School’s Loud Crowd. 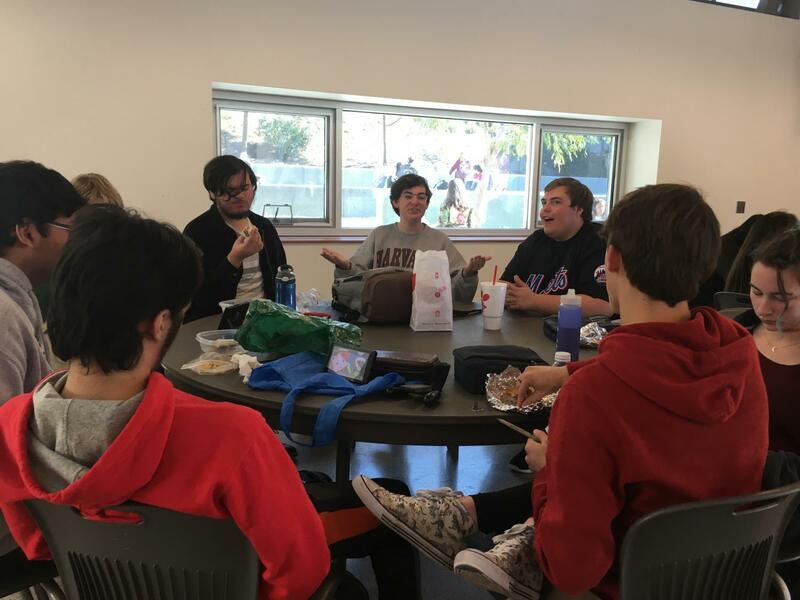 A collective of students gather to begin their daily feast and consult of serious social and political topics. As a tradition, one from the group purchases DoorDash for everyone for lunch. 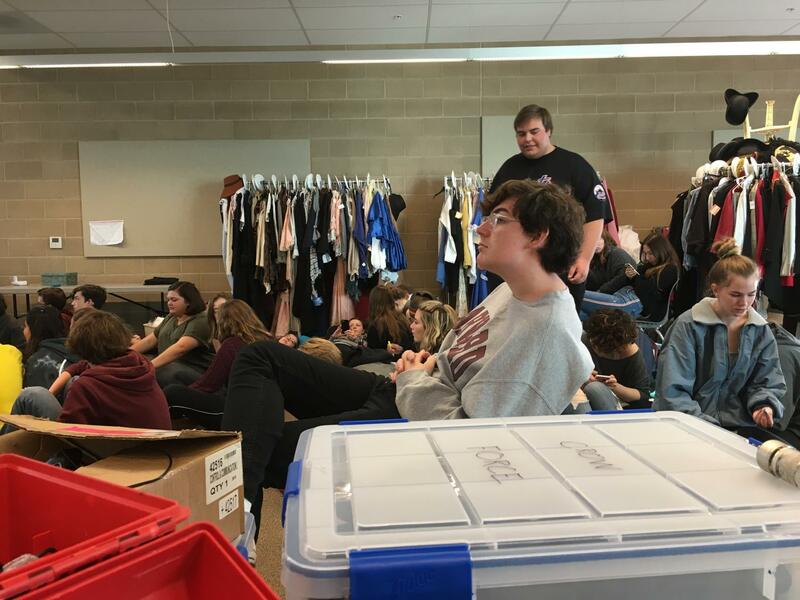 Theater Students take a break before singing their parts in this year's school play, Les Miserables. That day was a vocal rehearsal in which all students were placed in the old 5000 building theater class. The cast has been rehearsing almost every day for the past few months. Students and community members follow along with Mrs. Herrick as she teaches them to paint a beach scene. 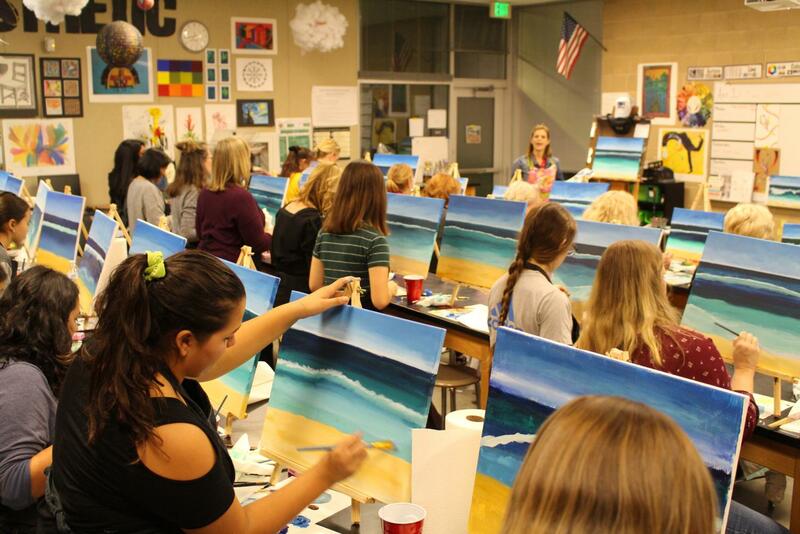 The Arts’s department held its annual paint night fundraiser on Friday to raise money for the program. 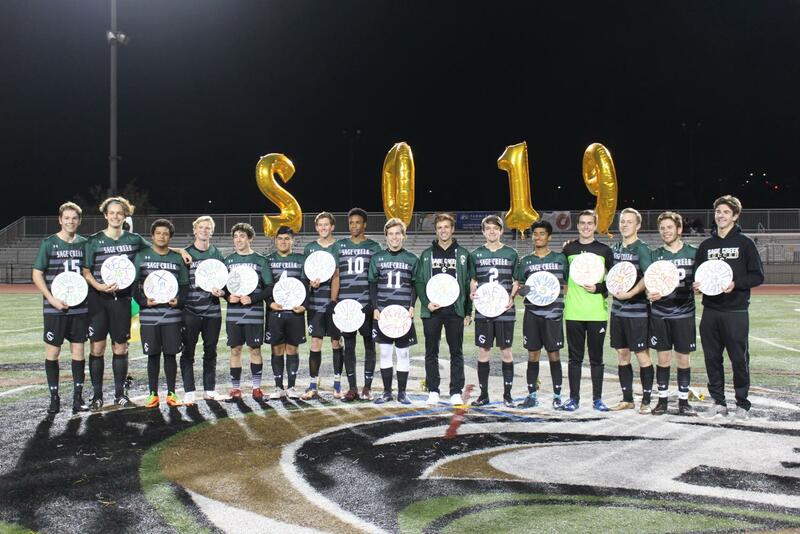 Before their game against High Tech High, the varsity boys soccer team held their senior night to congratulate all the boys for the hard work they have put in throughout this season. 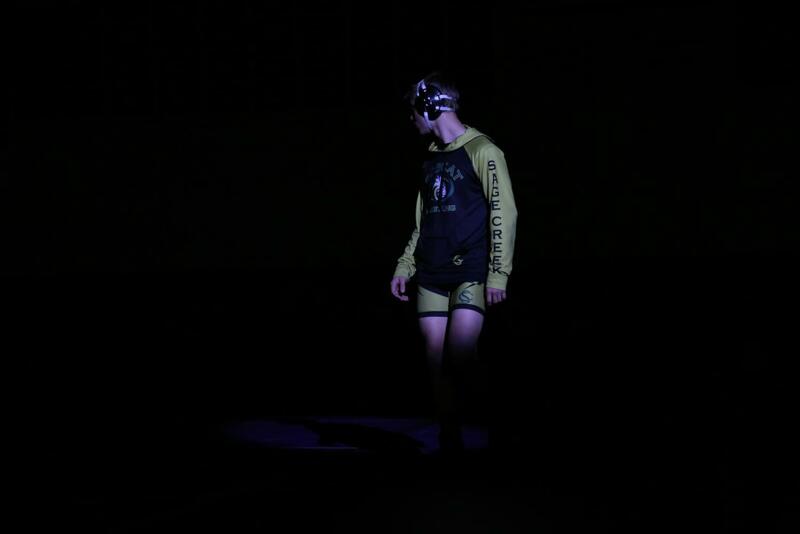 Junior Cole Kirby gets into the zone as he waits for his opponent to be announced. This past weekend wrestlers Peter Rubin, Luke McLellan, Miguel Rojas and Cole Kirby attended the Division Four Championships. McLellan walked away with a tie for 5th in the 162 weight class and Cole Kirby took 2nd in the 128 weight class. Kirby will be moving onto Masters in San Marcos this Friday to compete against all division winners for a chance to go to State.